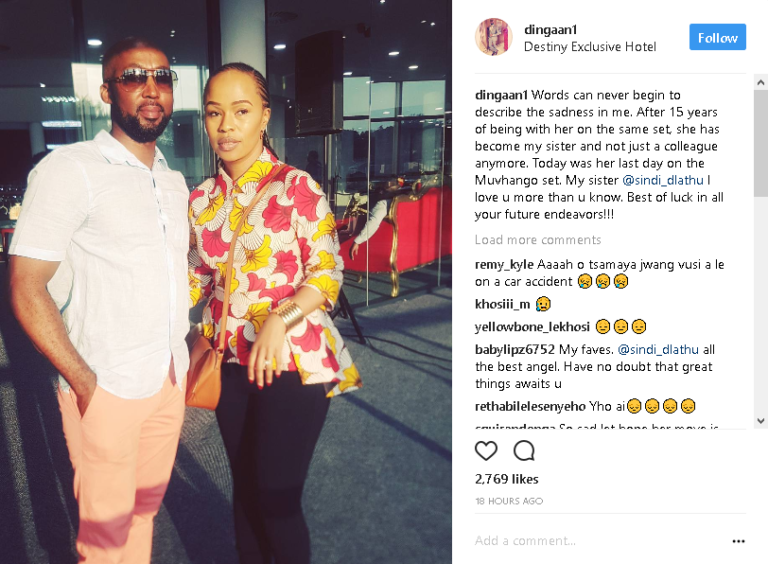 Dingaan Shares Heartfelt Farewell Message To Sindi Dlathu! They have had one of the greatest relationships on local television as much as their character have in recent times fought. But in real life, it’s a sad goodbye for friends of fifteen years, Dingaan and Sindi Dlathu. The actress was recently showered with love as she bids farewell to the character and show that made her a household name 20 years ago. 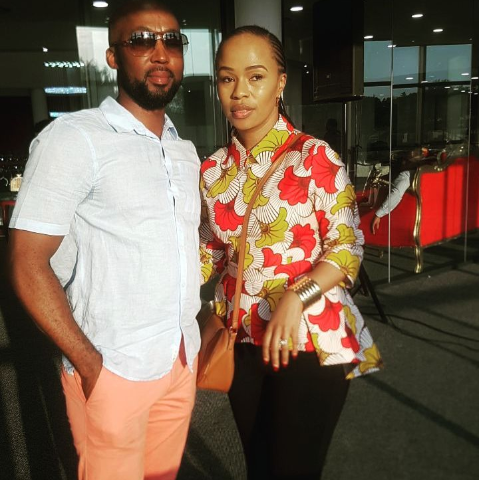 Taking to Instagram, Dingaan who plays James on Muvhango paid tribute to his friend Sindi. “Words can never begin to describe the sadness in me. After 15 years of being with her on the same set, she has become my sister and not just a colleague anymore. Today was her last day on the Muvhango set. My sister @sindi_dlathu I love u more than u know. Best of luck in all your future endeavors!! !,” he captioned a photo of himself and Sindi.